Our students don’t just excel in the classrooms but in the sports field too. The outstanding facilities for indoor and outdoor games include tennis, badminton, basketball and volleyball courts and grounds for field events. A distinguished Sports director who has made his mark nationally, and an unwavering focus on healthy competition and sportsmanship have seen our teams winning laurels time and again. 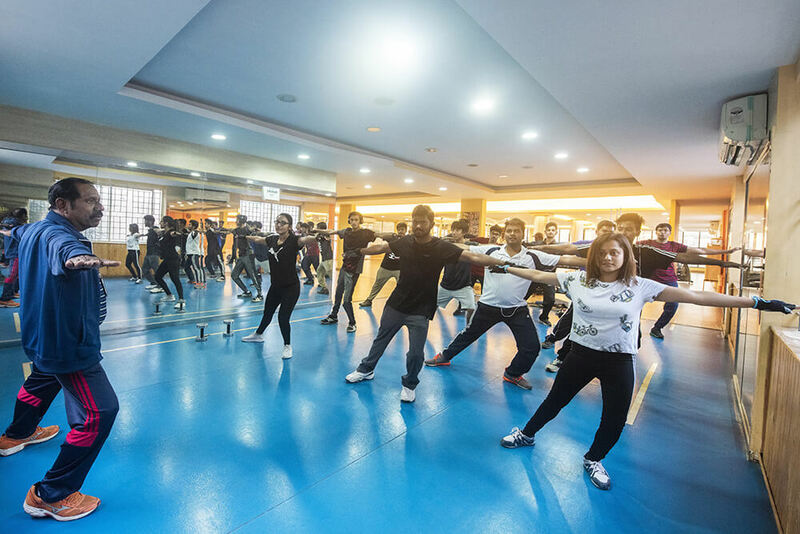 The college offers a modern well-equipped gymnasium with professional trainers to ensure that our students are fit and active. 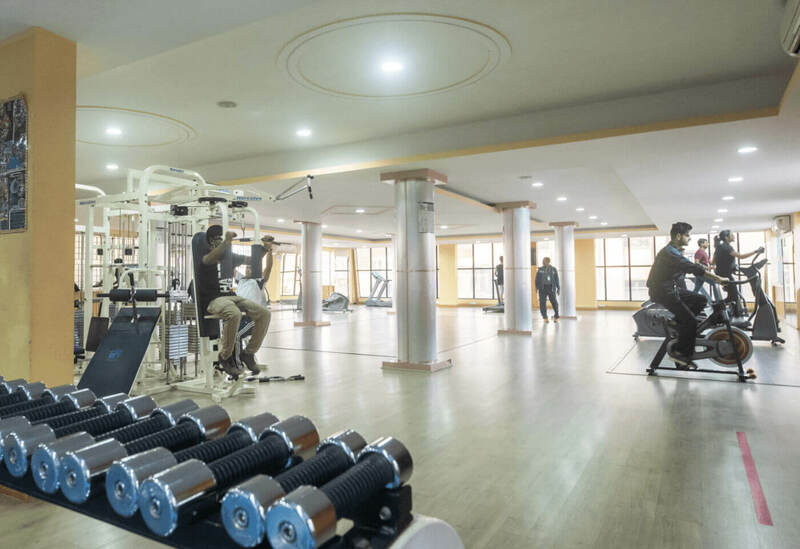 It is a multi-gym equipped with treadmill, cycling stations, aerobic floor, cross trainer, bars, dumbbells, plates, flat benches and dipstands.